Originally a preferred Location for The Taj Mahal and once the capital of Mughal Kingdom, A historical city Burhanpur was founded in 1400 AD on the bank of river Tapti. 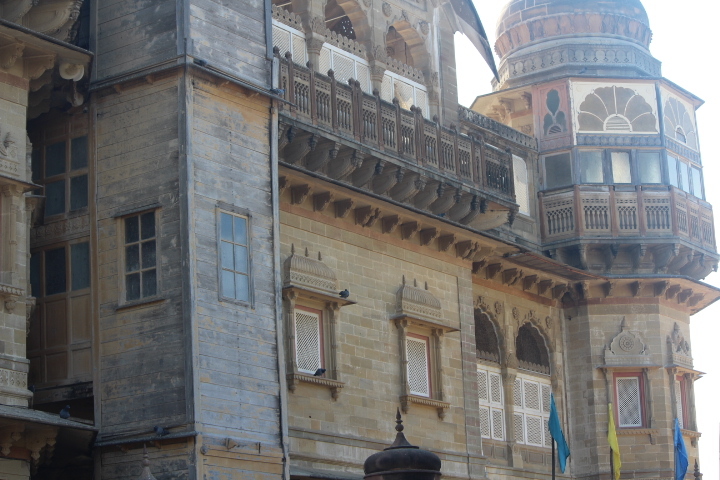 Burhanpur was also called as the gateway to Southern India or ‘Dakshin Ka Dwar’. This place was under the rule of Mughal king Shah Jahan for a long period of time, which is a domicile of some of the extremely beautiful examples of Mughal architecture. You will get a sense of Mughal life, the moment you enter the city, as you will see magnificent tombs, mosques and palaces. An interesting fact about Burhanpur is that the mighty Taj Mahal was originally planned to build here on the bank of river Tapti but lack of white marbles availability in the region made Shah Jahan led it to Agra. Mumtaz Mahal was buried here for a long time before Taj Mahal was built. Inspired by Persian, Mughal and Indian style architecture one can easily identify the true beauty of this fort by looking at it. 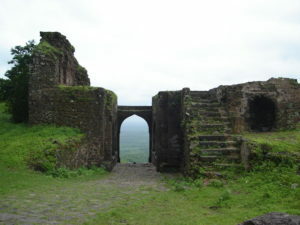 Though it was not very well maintained but surrounded by three man-made ponds on the hilltop the scenic view of the fort will grab your attention completely.Because of its altitude, the fort was invincible by straight fight and that’s the reason the fort was captured always by cheating. 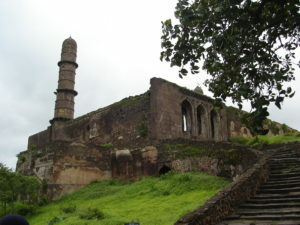 Asirgarh fort was built by Hindu but was ruled by Ahirs, Mughals. Because of its altitude, the fort was invincible by straight fight and that’s the reason the fort was captured always by cheating. 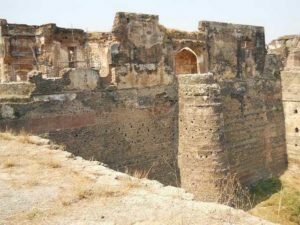 Asirgarh fort was built by Hindu but was ruled by Ahirs, Mughals, Holkars and Britishers as well. 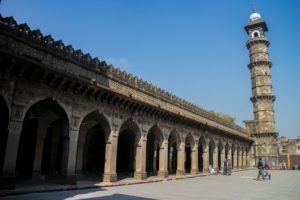 Located in one of the main markets of Burhanpur, Gandhi Chowk, Jama Masjid is one of the most prominent monuments build in early 16th Century and was completed by Akbar. Jama Masjid is the only mosque to contain Urdu and Sanskrit script together. 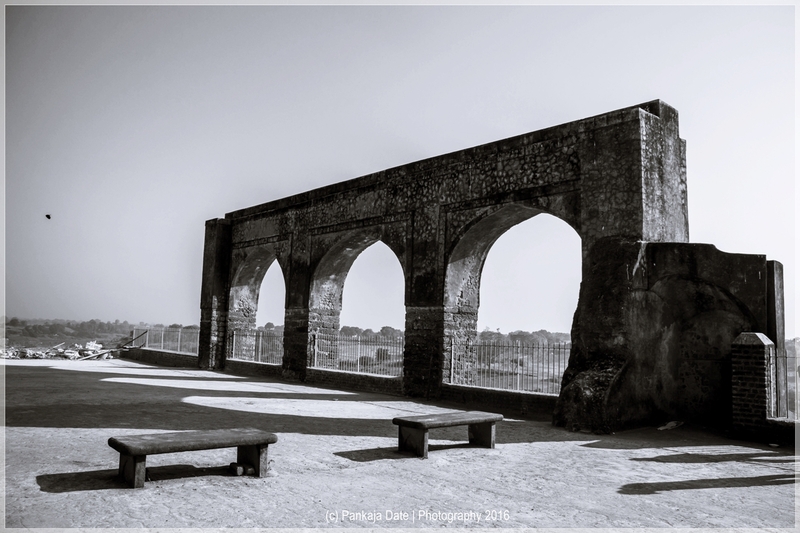 Shahi Qila is located to the east of River Tapti, one of the most visited place in Burhanpur Even though it is not very well maintained by officials, the sculptures and carving inside are amazing. 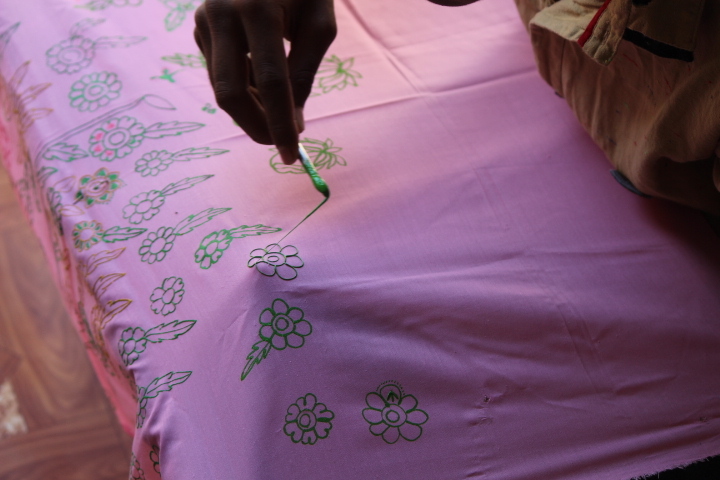 A painting in shahi qila has inspired the design of The Taj Mahal. 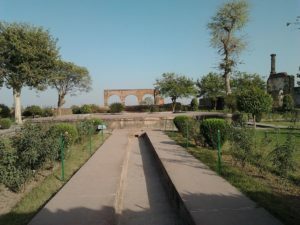 It is a rare qila with a terrace garden. It was built by Farooqi emperors and was ruled by Shah Jahan for a long time before his wife Mumtaz Mahal died here giving birth to her 14th child. Mumtaz Mahal was buried here for 6 Months before her body was transferred to Agra Taj Mahal. One of the main attraction of Shahi Qila is Shahi Hammam or The Royal Bath. 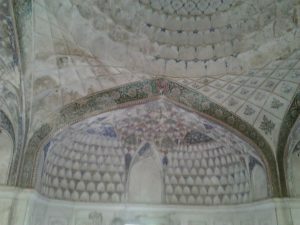 It was actually built for Shah Jahan’s wife Mumtaz Mahal to enjoy a luxurious bath. The Hammam has doomed roof and a lot of artwork and painting work has been done inside. One of the painting depicts a monument which is said to be the inspiration for The Taj Mahal. Moving away a few km from the crowded town towards a small village called Lodhi and you reach Dargah E Hakimi, The only place in burhanpur where you may feel that you are in another world. Spread over 100 acres Dargah E Hakimi is more like a luxurious resort place. A highly recommended place to visit in Burhanpur. Syadi Abdul Qadir Hakimuddin, a holy dawoodi saint who was buried in burhanpur, Dargah E Hakimi was built in his memory. It attract 1000s of visitors every month from all over India and abroad. Prior permission is required to enter Dargah and it’s premises and Head, shoulders and knees should be covered while entering this great dawoodi Bohra pilgrimage site, Dargah E Hakimi. Burhanpur is well connected by train with most of the major cities like Delhi, Mumbai, Kolkatta, Bangalore, Patna, Varanasi, Pune, Nagpur etc. 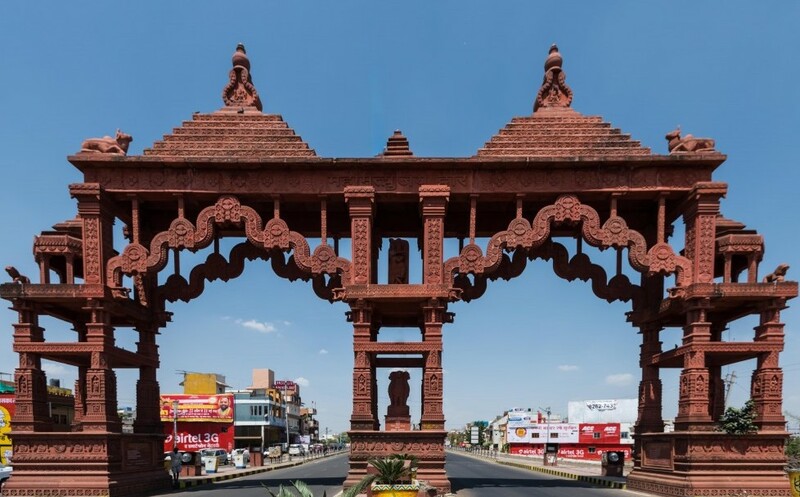 By Road, Burhanpur is not so well connected with most of the cities but if you are traveling form Madhya Pradesh itself or few places from Maharashtra like Jalgaon, Aurangabad, Pune, Nashik then you are good to go ahead with Buses. 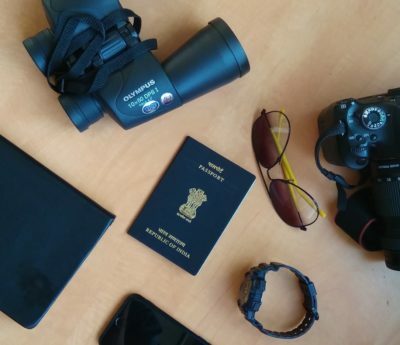 Nearest Airport is Indore however, it is approx 170 KM from Burhanpur and it is connected well Ahmedabad, Delhi, Mumbai, Chennai, Hyderabad and Jabalpur. 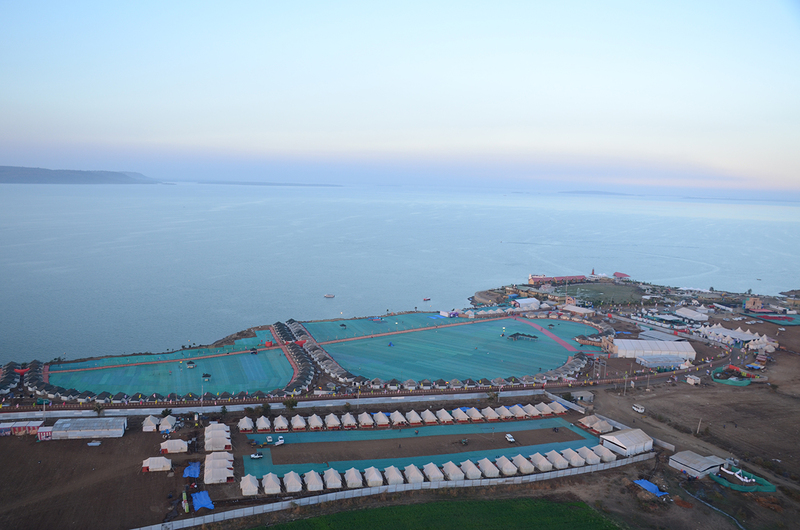 Tapti Retreat MPTDC is the best place to stay in burhanpur, However, you will find other options as well. Along with it there are a couple of very economic Airbnb homestays available in the city which you can check.